Summit Hotels and Resorts is a full-service boutique hotel with key amenities for complete relaxation, affordable luxury, bonding time with family, and more. And while it is the top-of-mind location to conveniently spend your staycation in, Summit Hotels is also the prime destination for people to stage memorable gatherings, from large-scale conferences to intimate celebrations. Each Summit Hotels property provides all the right facilities you would need for a successful occasion. Summit Hotels Magnolia, located along Doña Hemady Street, Quezon City, is the top choice for residents and businesses for a convenient meeting point in this emerging district of Metro North. Despite being a boutique hotel, it has premium quality facilities and services which foster a relaxed atmosphere amidst a fast-paced urban environment. It has an elegant event space capable of seating up to 100 guests. This multi-functional event space can be transformed to meet one’s needs, making it a great spot for any event of any kind or size — from small gatherings up to 100 attendees. For special events away from the densely-populated capital, Cebu stands as one of the country’s key destinations for meetings, incentives, conferences and exhibitions (MICE). Look no further than at Summit Galleria Cebu, Summit Hotels and Resorts’ newest hotel which boasts of artistry, luxury, and contemporary design. It’s the prime spot to hold MICE in this vibrant city. 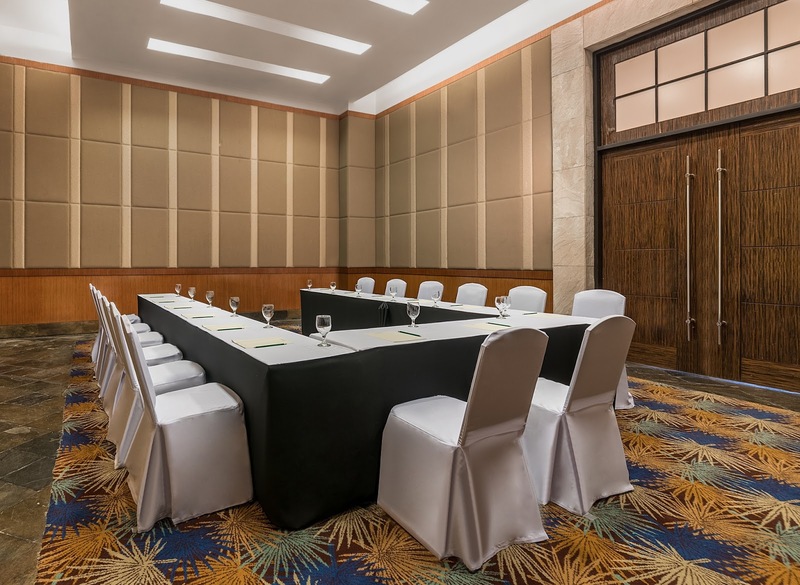 It has a Grand Summit Ballroom that can seat up to 600 guests, as well as smaller function rooms like the Summit Pool Lounge, Sinulog Meeting Room and Mango Meeting Room (can each accommodate 30-35 people) for more intimate meetings. Each room also has alternative layouts for you to choose from depending on your capacity requirements. Conference attendees would also be given the opportunity to enjoy visiting nearby attractions, such as the iconic Fort San Pedro and Magellan’s Cross, and Cebu’s newest upscale mall, Robinsons Galleria Cebu. Located right on top of Robinsons Fuente Mall is another destination perfect for your event requirements where guests can hold their special events at the Fuente Osmeña Ballroom, or hold small to medium-scale meetings at its Bantayan, Argao and Mactan function rooms which can all be combined to accommodate up to 300 people. Those who want to plan grand events someplace only a stone’s throw away from Metro Manila can do so at Summit Ridge Tagaytay. 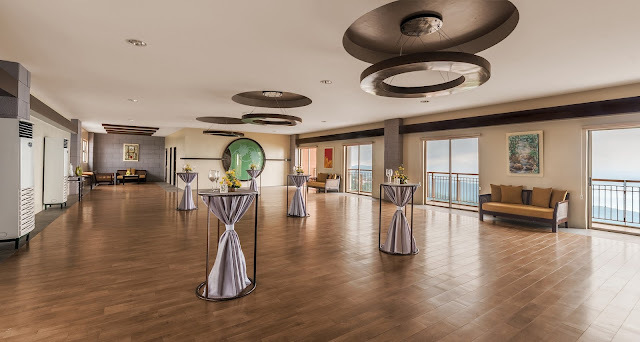 Just a two-hour leisurely drive from the city center, it’s the perfect place for large-scale meetings and banquet celebrations while surrounded by the relaxing sights and sounds of Tagaytay. There are 16 function rooms to choose from, including the Raintree Ballroom that can seat up to 500 people, smaller rooms that can seat 30 to 50 people, average-sized halls that can accommodate up to 150 people, and an open-air events lawn that can hold up to 70 people. If you don’t want people to be cooped up indoors for your event, check out Summit Ridge’s Sky Lounge which is located at the topmost level of the hotel. It’s an ideal outdoor party venue which can seat up to 120 guests who will be treated to a breathtaking and scenic view of the Taal Lake. The Summit Learning Center is also a distinct facility at Summit Ridge. 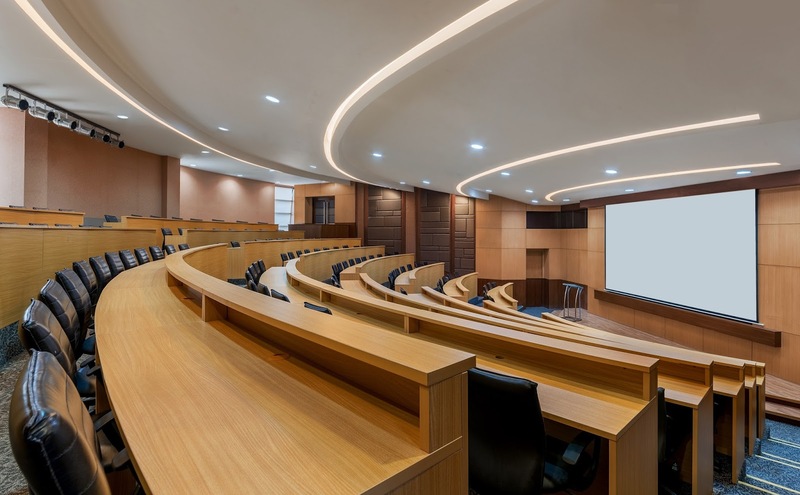 It is designed as a modern conference venue that mimics the auditoriums in Harvard University. It is also equipped with executive tables and chairs, and state-of-the-art AVP facilities, including a built-in projector screen and technical control room. At Summit Hotels and Resorts, any kind of meeting or convention is always made easier and hassle-free. Whether planned on short-notice or arranged with flair and grandeur, you’re guaranteed to find the events space fit for your occasion. For your event needs, best available rate and perks, visit www.summithotels.ph.